Samantha and her team are top-notch. She is a perfectionist who notices all the details and ensures things are functioning and clean when we arrive. We have been happy clients for almost 14 years! Samantha and her team have always been responsive, professional and friendly towards our guests and our family. For over a decade Samantha's Alpine Home Services have been great! Samantha is always available to help with not only cleaning our house, but helping manage our home. She has an in depth knowledge of the community that makes her an invaluable resource. Efficient and reliable! Sammy and her team do a very good job! So lucky to have excellent cleaning options at Kirkwood! They do a great job and are also a good source for other household needs. I highly recommend Alpine Home Services, they do an excellent job on our house in Tahoe Keys. We have found them to be flexible and responsive, and we are very pleased with their service. Alpine Home Services is professional, timely and does quality work. I never hesitate to refer them. I have enjoyed working with Samantha for a number of years. She and her crew do a great job despite sometimes challenging weather conditions. Samantha takes good care of our home. AHS took care of a ski lease rented by a group of us. Always quick and professional service. Samantha was very responsive to any questions and concerns I had. Excellent services with a one stop get everything done!!! Always affordable, Always timely, Always a very good job including special requests! They do an excellent job!! My house stays clean for a long time:) Thank you! Samantha and Alpine Home Services do a great job of cleaning and related services. Always reliable and since I am not fully occupied in the house, they will let me know if something is amiss. Samantha is a very conscientious, organized and always does as she promises. She is easy to work and communicate with. She is the only one we trust to help us maintain our ski house. Alpine Home Services does a great job of cleaning my home in Kirkwood. They are reliable, honest and reasonably priced. Samantha is reliable and does a great job! I highly recommend her! My experience with Alpine Home Services has ALWAYS be exceptional! I cannot live without them.....this says it all....! Alpine Home Services is very thorough at cleaning our cabin at Kirkwood. They are very helpful at coordinating with other services needed for the cabin, e.g., snow removal, contractors, fire wood, etc. Prompt, reliable, good quality work. Great prompt and thorough cleaning. Samantha is super responsive and helpful. A lifesaver especially when we are usually 3.5 hours away from the ski home. Samantha is very resourceful and gets the job done. Samantha and her team have been exceptional for many years. Reliable to a T.
We use them for everything. Very Reliable and trustworthy. We trust Alpine Home Services with our home in Kirkwood, and are pleased with the quality of the work. We've recommended Samantha and her team to a number of our fellow homeowners. We have a condo in Kirkwood, CA and live in Florida. Samantha has been a instrumental in helping us maintain a property all the way across the country. She is reliable and resourceful and everything you need in a service provider. Samantha and Alpine Home Services are wonderful. Alpine Home Services has helped me with my condo in Kirkwood for 11 years. Samantha is reliable and helpful. Their rates are reasonable, especially considering the dependable and consistent quality of service they deliver. Samantha and her team did a great job on our house! They were punctual and reliable. Deep clean of new house. After mediocre results from other cleaning services in our previous Tahoe home my wife and I were very impressed. We now have our go to cleaner. Great job once again, as always. Professional and efficient cleaning from friendly and accommodating staff. Samantha's team is thorough, honest and accommodating! Thank you, Samantha! Alpine Home Services does an outstanding job. Samantha runs a first class operation and can handle any situation with ease. We have complete peace of mind as her clients. Great service! Calls are returned quickly and Samantha makes every attempt possible to accommodate you into her busy schedule. I highly recommend her! So great to have such cheerful, reliable, knowledgable and competent folks to call on for all sorts of needs in our get away cabin. Alpine Home Services has cleaned our condominium in Kirkwood for over 5 years. They do an excellent job and always show up when they are scheduled. I highly recommend them. Samantha and her firm, Alpine Home Services, provide excellent house cleaning and related services for my vacation home/rental at Kirkwood. I strongly recommend AHS. Samantha and the crew at Alpine Cleaning Services did a great job! Returned to my summer/winter home to find it clean and tidy and I trust them to be there when I am not in town. Thank you! They are always there when we need them and they do a great job. 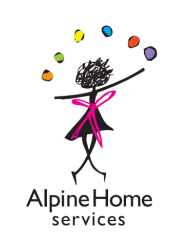 Alpine Home Service staff are very efficient. They do a great job consistently. They have been cleaning my two rental houses for the past year. I would definately recommend their business! Excellent work, reasonable prices. We own a second home in Kirkwood. It has been very convenient to have Alpine clean for us periodically when we are not there. They have been very flexible with scheduling, and billing has been efficient. 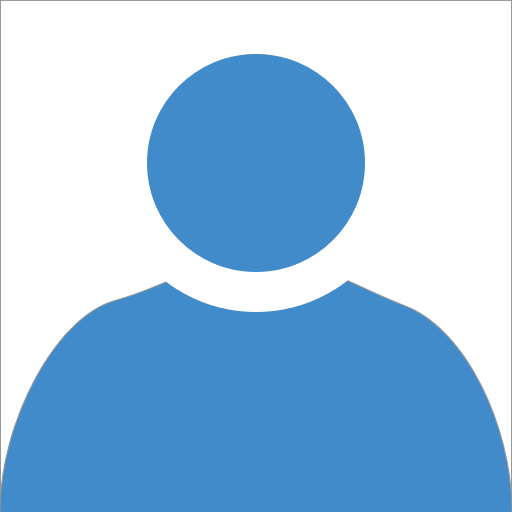 Have used your services for approximately 14 years & have been very satisfied. Thank you for your reliability! Samantha and her wonderful crew have provided impeccable service to our Kirkwood home for decades. Alpine Services is punctual, flexible, reasonably priced, and very reliable. I recommend them highly and without reservation. Samantha and her team have helped us for 8 or 9 years now. She is a pleasure to work with and her team has always done great work. I recommend her to others in Kirkwood. Excellent service. Samantha does a great job in cleaning and caretaking my cabin in Kirwood. Always reliable and fairly priced. I highly recommend them. Very pleased with their services. Samantha is very easy to talk to and she responds back to questions quickly. I would highly recommend Alpine Homes services for all your home needs. We relied on Samantha and AHS to clean and check on our place in Kirkwood. She did a terrific job and was always responsive when we had an emergency request. We use this service routinely for cleaning our 2nd home. They are reliable and do a good job. Also able to help arrange home maintenance projects with other subcontractors. Sam is great. Always very prompt and helpful.